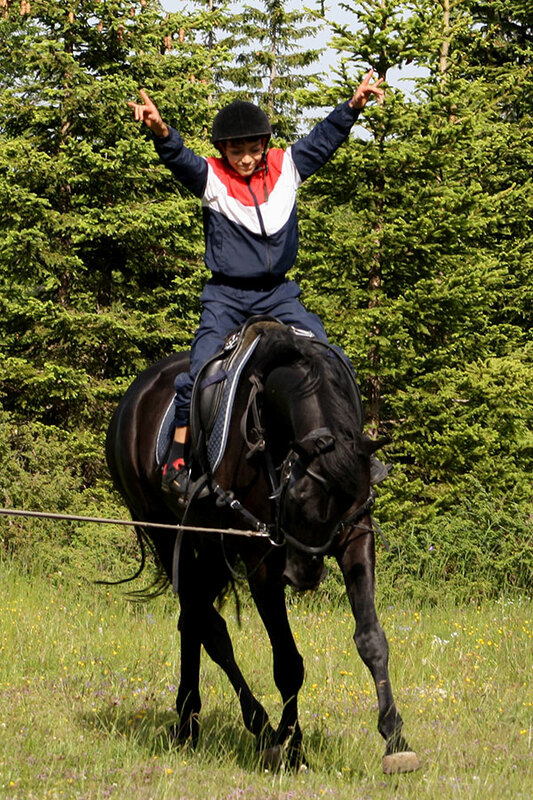 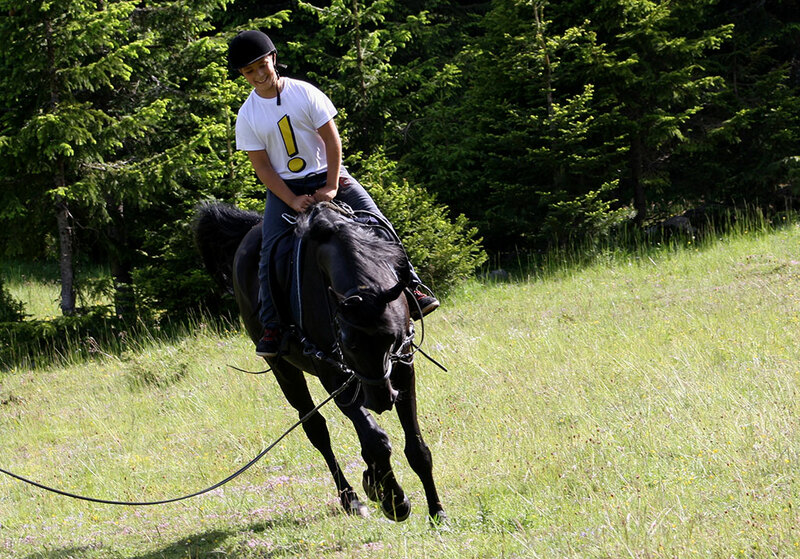 Our one or two day Horse riding activity is a great tour for guests wishing to experience Horse Riding in Montenegro. 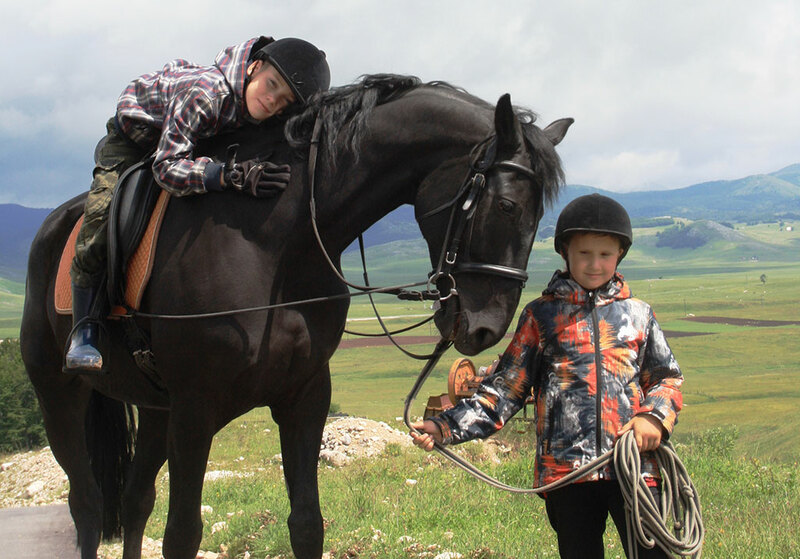 We would recommend that our guests do have some horse riding experience, however this activity is aimed at all levels of experience, from beginners to the more experienced riders. 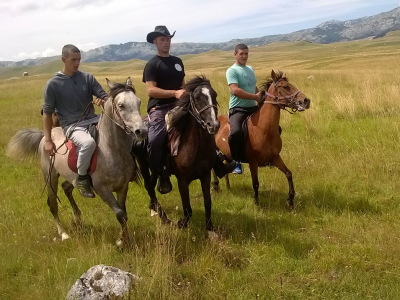 The tour encapsulates the beautiful mountain ranges and scenery of the Durmitor Canyon, taking guests along its stunning mountain trails. Guests will not only enjoy these peaceful rides, but they’ll also get to explore parts of the Canyon which only few persons view. 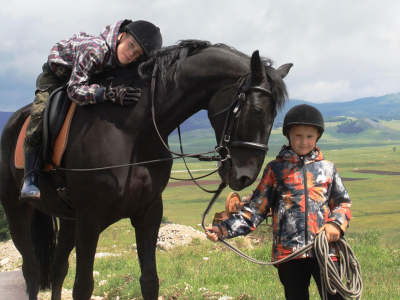 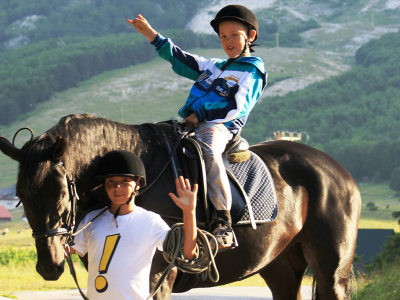 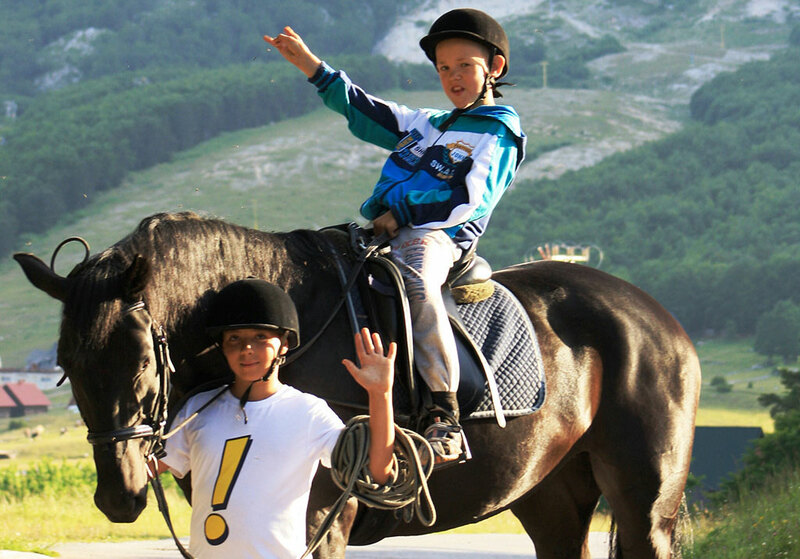 The horse riding activity offers spectacular scenery through Durmitor’s mountain passes and it’s an incredible experience that guests will not forget! 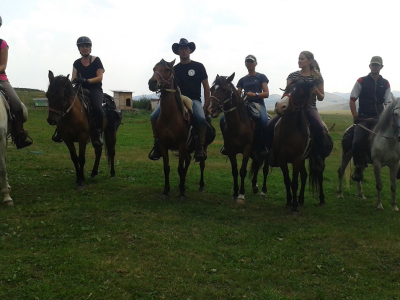 Depart from our camp at 08.30 am. 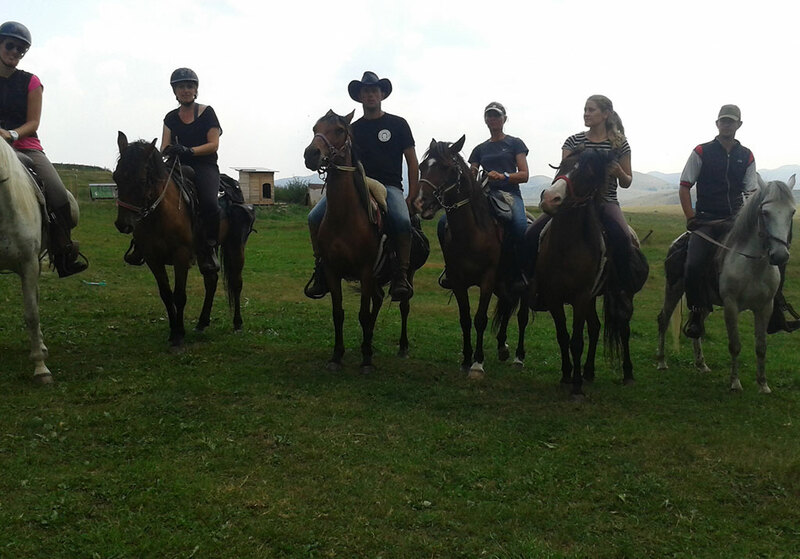 The morning begins with preparing the horses at 09.00 am, followed by instructions from the experienced guides on how to ride the horse correctly. 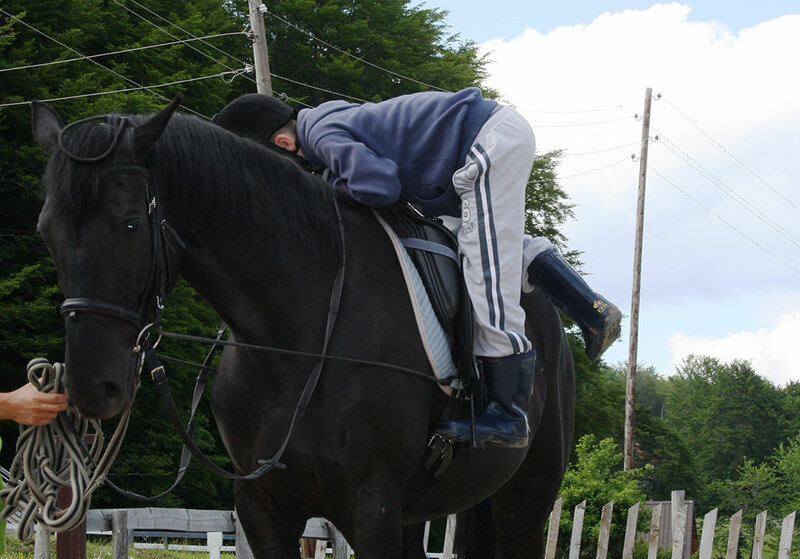 This will include some practice and advice on posture, etc. 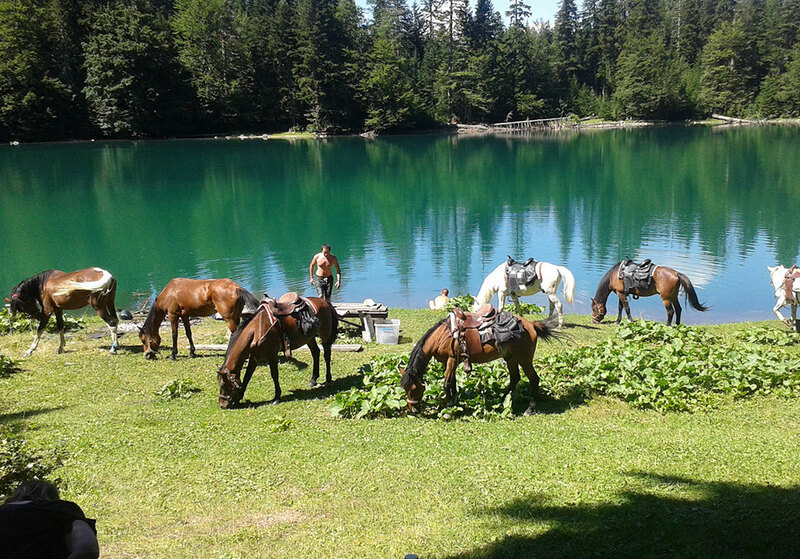 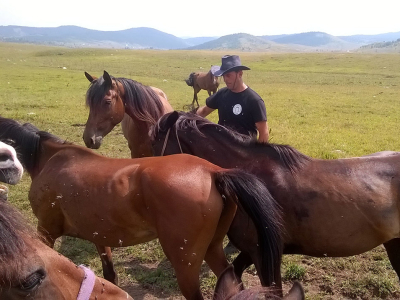 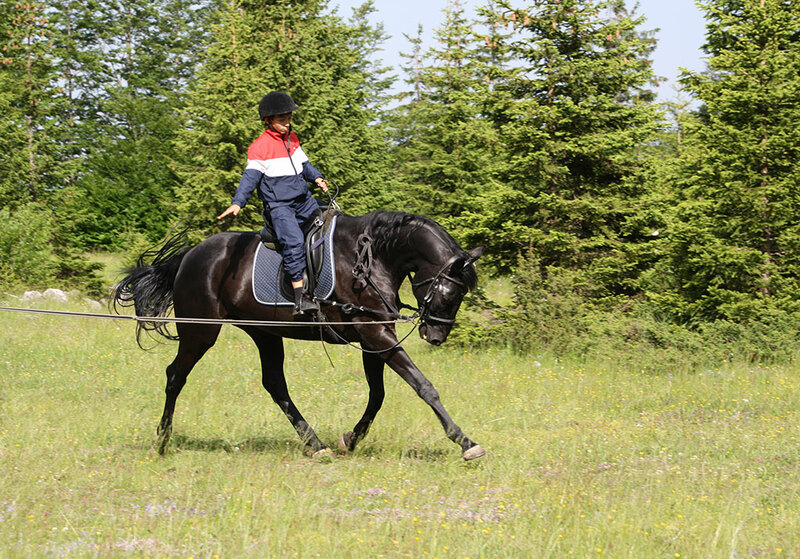 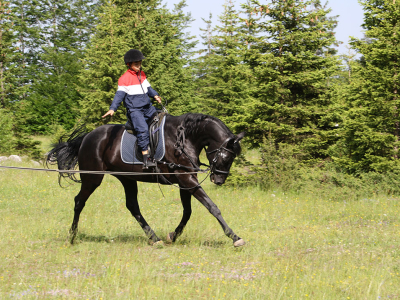 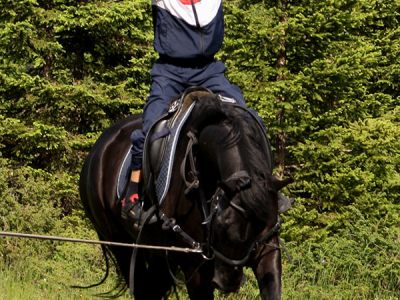 After preparing the horses at approx 09.45 am we firstly ride to Lake Plateau and then onto Where Semnogobrojna Lake. Lunch is at approx 13-14.00 pm for an approx 1-2 hour break. We continue the horse ride across the Mountain ranges and returns back to base for dismount at approx 17.00 pm. 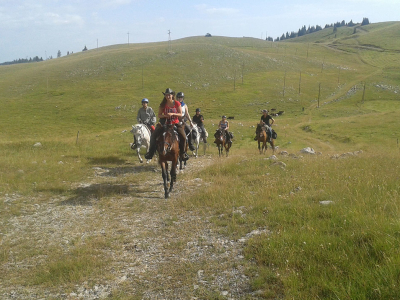 Arrival back to our camp in Zabljak at approx 17.30 pm. 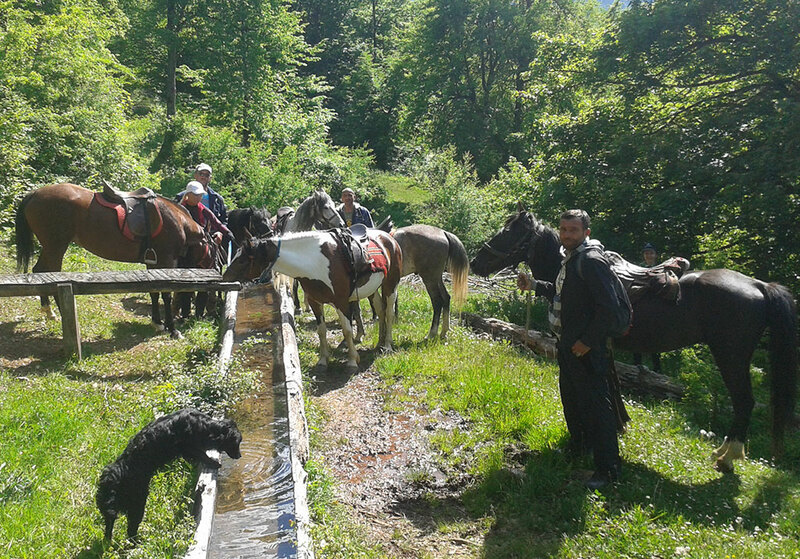 Depart from our camp in Zabljak at 07.30 am. 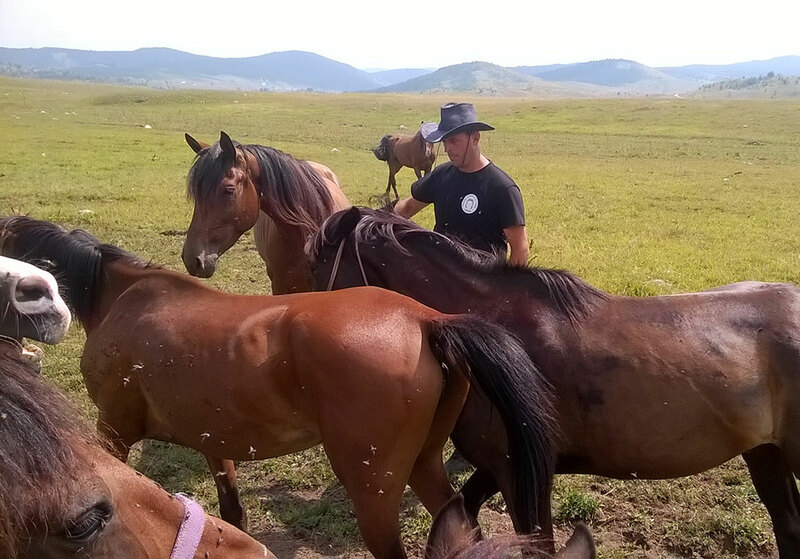 The morning begins with preparing the horses at 08.30 am at SKK VIHOR, followed by instructions from the experienced guides on how to ride the horse correctly. 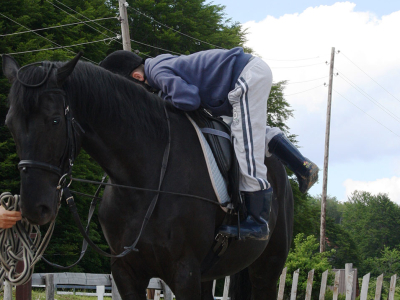 This will include some practice and advice on posture, etc. 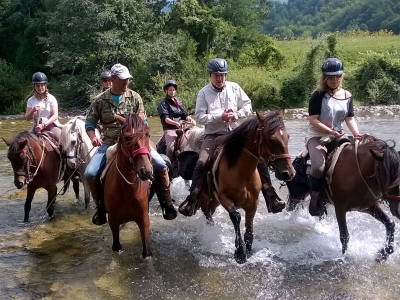 At approx 09.15 we move through many Durmitor villages and mountain passes with view’s onto the Tara River Canyon. 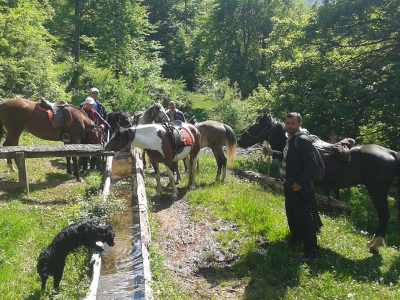 Onto part of the Piva River and Bosnia which then descends down on the small black mountain and to the Canyon Susice. 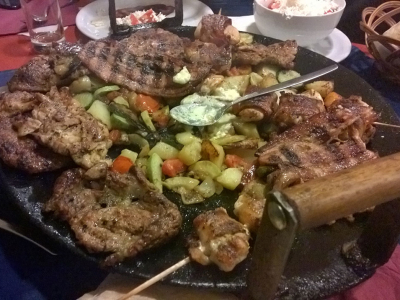 We have lunch at the Canyon and then continue to the village Nedajno, which is located on the other side of the Canyon. 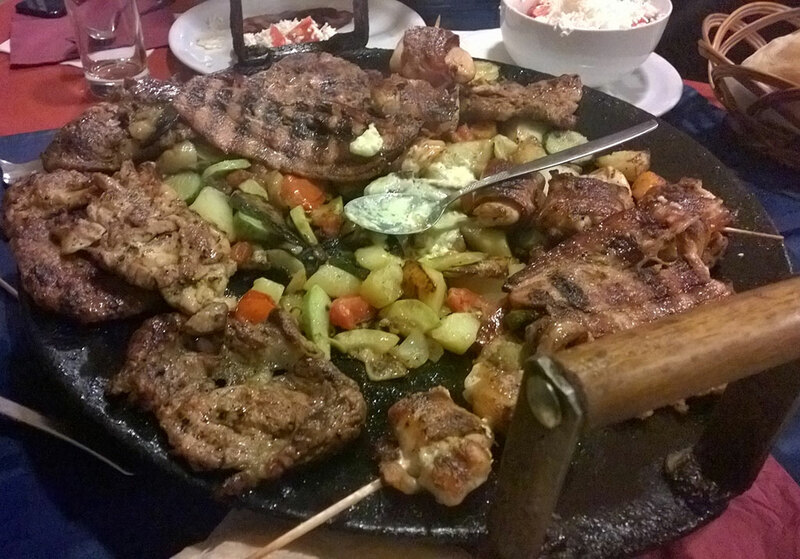 The tour continues to Trsa and at the restaurant Milogora. 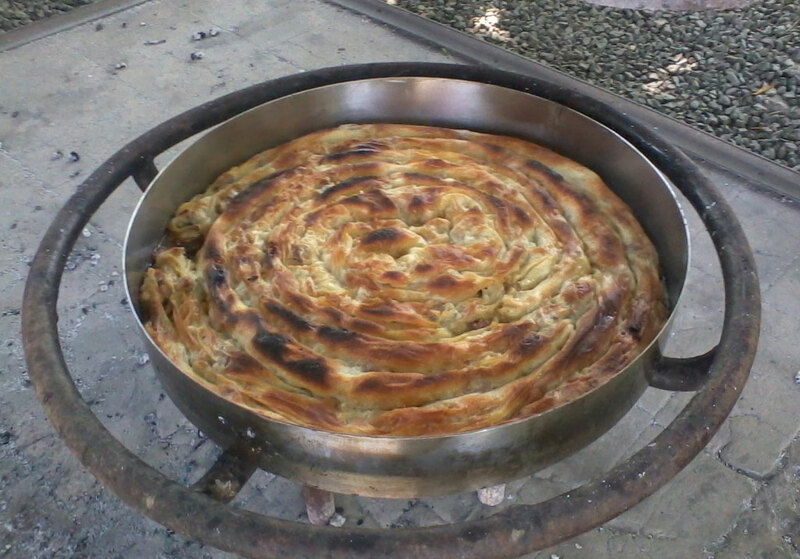 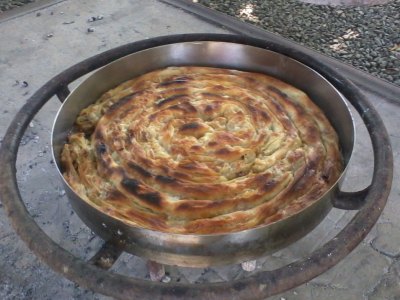 The restaurant is the base for the night and is where guests have a traditional Montenegrin dinner, spend the night and in the morning have a Traditional Montenegrin breakfast. 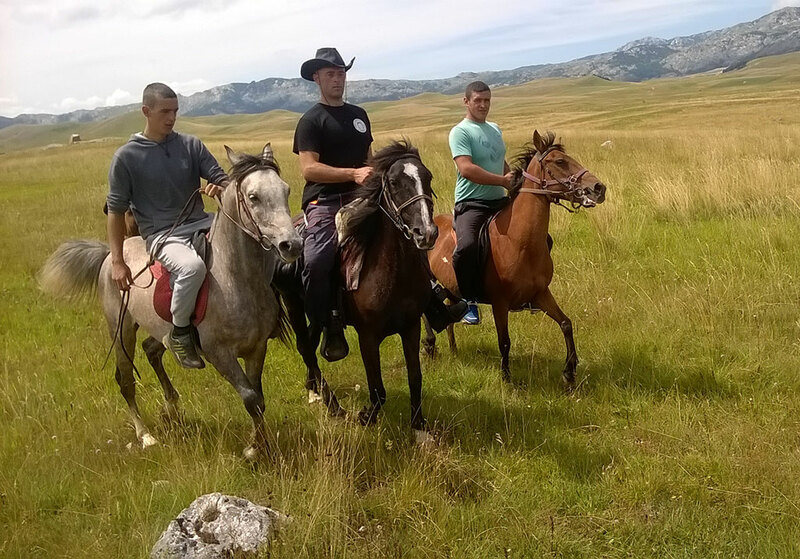 The second day continues after breakfast and preparing the horses ready for the trip, we continue over several Durmitor villages and have a lunch at midday at Todorova valley, which is below the beautiful mountain of Prutas. 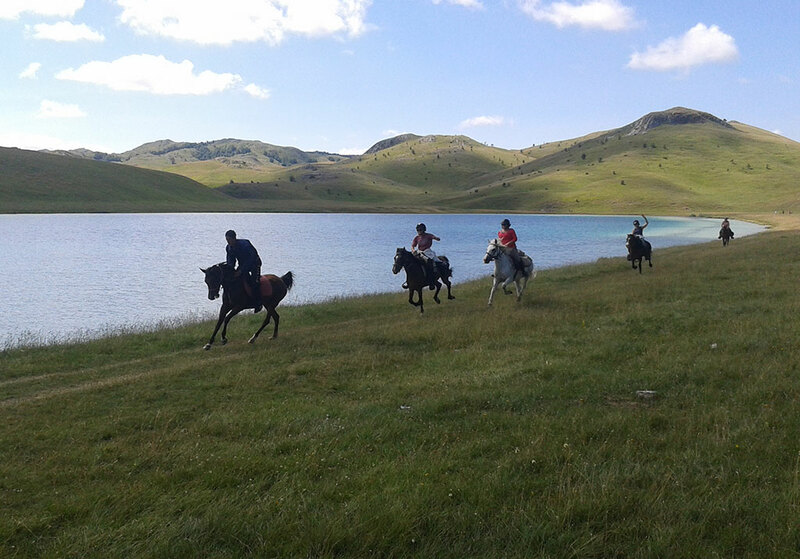 We then pass through the massive pass of Valivitom Lake, which is near to the peak of the mountain. 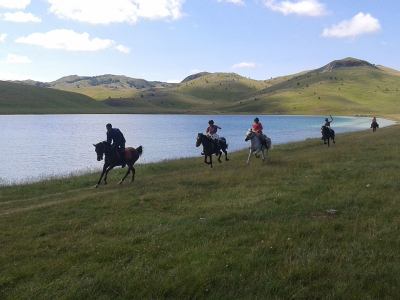 We then continue over the Lake plateau and arrive back in the afternoon to SKK VIHOR, where the journey is complete. Arrival back at our camp in Zabljak at approx 17.00 pm.